Near Field Communication, or NFC for short, is a feature that allows our smartphones to wirelessly communicate with other devices over a short distance while using almost no power at all. Think of it like a slimmed-down version of Wi-Fi or Bluetooth that can send a small burst of data two inches away without having any measurable impact on your battery life. This ultra-efficient form of wireless communication may not seem very powerful, but with a little inventiveness, it can be a formidable tool. Combined with hi-tech stickers called NFC tags, useful NFC apps, or another NFC-enabled device, you can trigger all sorts of cool actions on your smartphone. Below are eight of the best NFC uses I've found. This is what an NFC tag looks like. 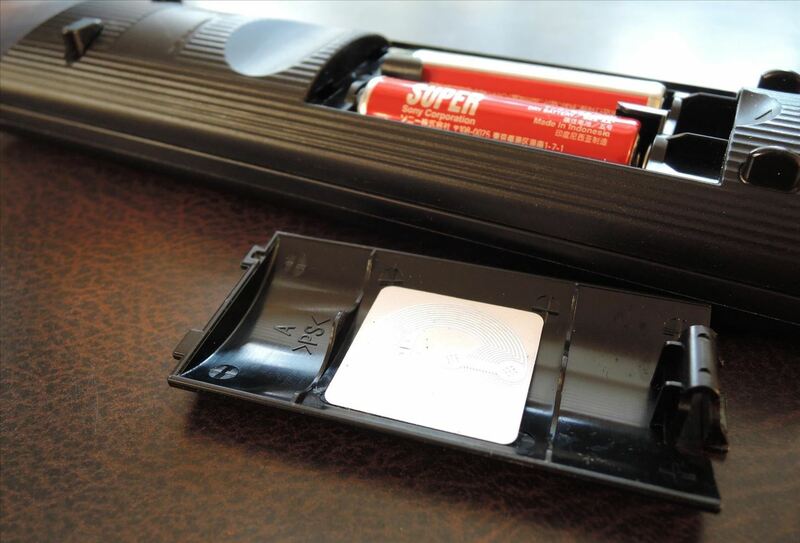 To try out the tricks below, you'll need an NFC-enabled smartphone. Most Android devices from the last five years will have this feature, but make sure to enable NFC in your phone's settings before you begin. Additionally, some of these NFC tricks will require the use of an NFC tag. 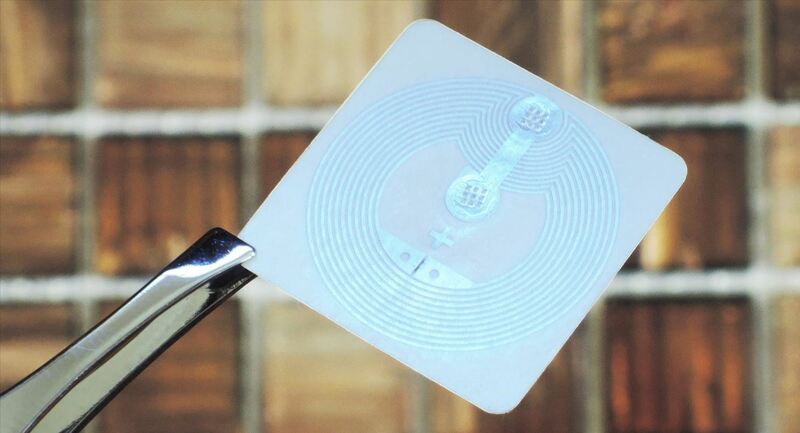 These small stickers communicate with your NFC enabled device and can be purchased for less than a dollar on Amazon. A secure Wi-Fi password—with its numbers, symbols, and capitals—is a pain to share verbally, so check out this hack that lets an NFC tag do all of the work for you. 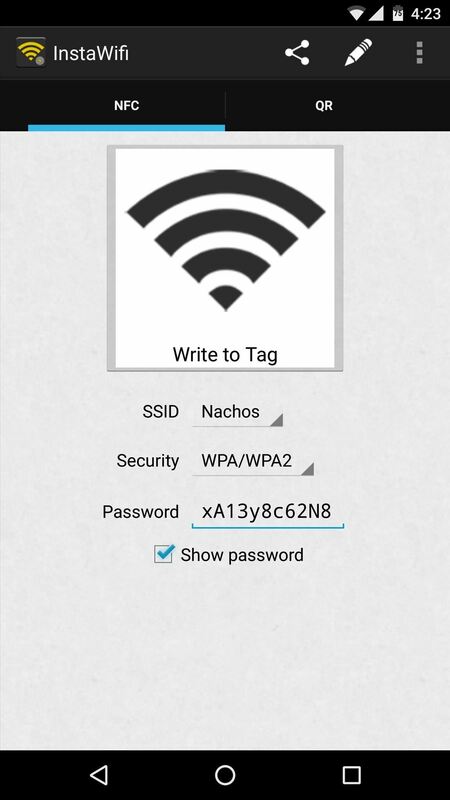 The app, called InstaWiFi, lets your guests simply scan an NFC tag to automatically log into your WiFi network. Depending on their Android version, the other user will either be logged into your Wi-Fi network automatically, or prompted to install InstaWiFi, at which point they can simply open the app and tap their phone to your NFC tag to log into your network. 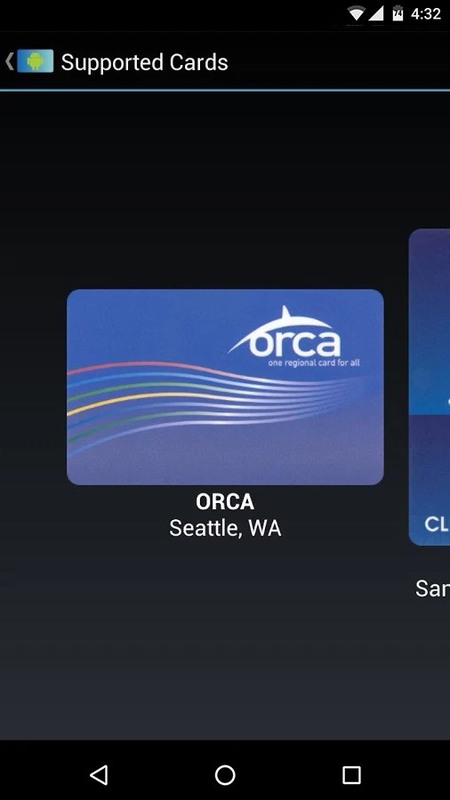 Bus and train cards in most major cities use NFC these days—it's how you can just tap your card to the terminal to pay your fare. Many public transit systems use encryption to secure the transaction, but in several cities, the decryption key is publicly available. 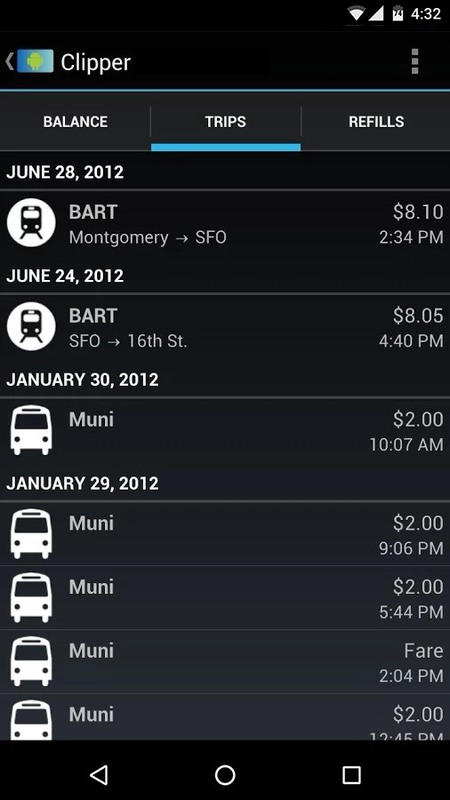 This means that if you live in an eligible city, you can install an app called FareBot to read the information stored on your transit card—including balance, trip info, and any other transactions. Every NFC-enabled Android device comes with a cool feature called Android Beam. This allows you to send files, share photos, and even beam links to another Android device by simply bringing the two phones together. It's a great way to share content with your friends and family, so if you'd like to see how it all works, check out our full tutorial below. One of the most popular uses for NFC is mobile payments. 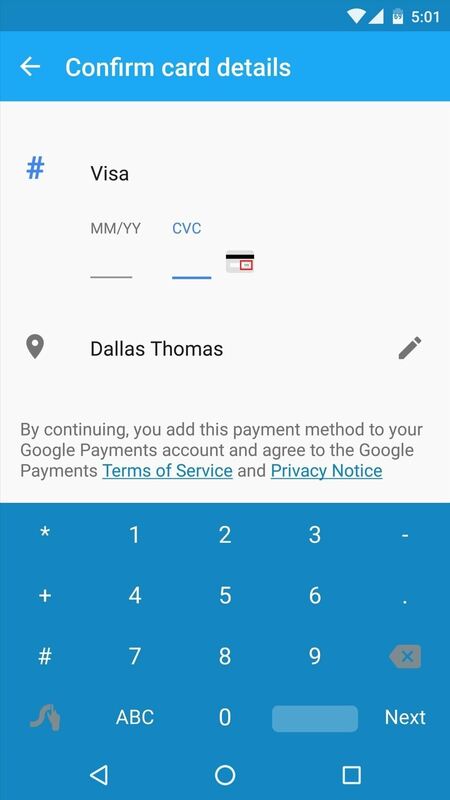 On Android, this used to be called Google Wallet, and it was exclusive to Nexus devices. But recently, Google Wallet was revamped and renamed to Android Pay (although the Wallet app continues to exist), which is available to all Android devices running KitKat or higher. 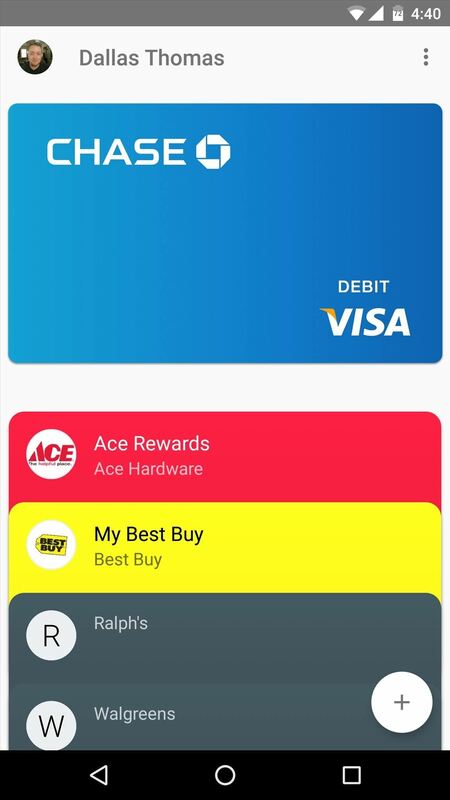 To pay for goods and services using nothing but your phone, install the app, add a card, and tap away—you'll be off and running in no time. This next trick will involve a little bit of initial setup, but once you've got it going, you'll be able to see your bank account balance at any time by just tapping your phone against your wallet. To begin, make sure you're enrolled in your bank's Text Banking feature, then install an NFC-automation app called Trigger, as well as its SMS plugin. Open Trigger and create a new task using NFC as the trigger, leaving all restrictions disabled. 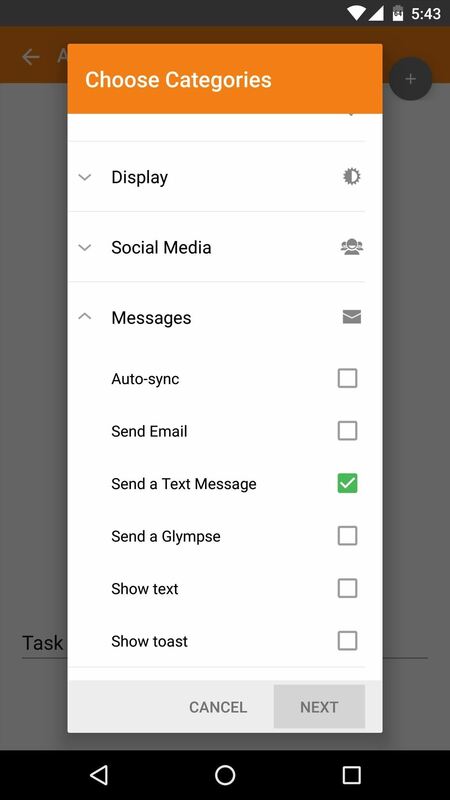 Next, add an action to your task, then choose the "Send a Text Message" option under the Messages category. 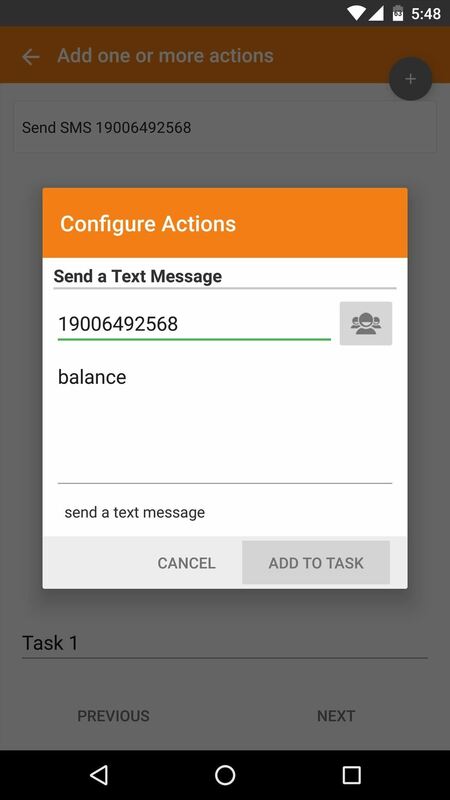 From here, enter your bank's automated balance request phone number as the recipient, then enter the balance request command as the message. For a list of text banking phone numbers and commands for popular banks, check out this thread on Pastebin or contact your bank directly. 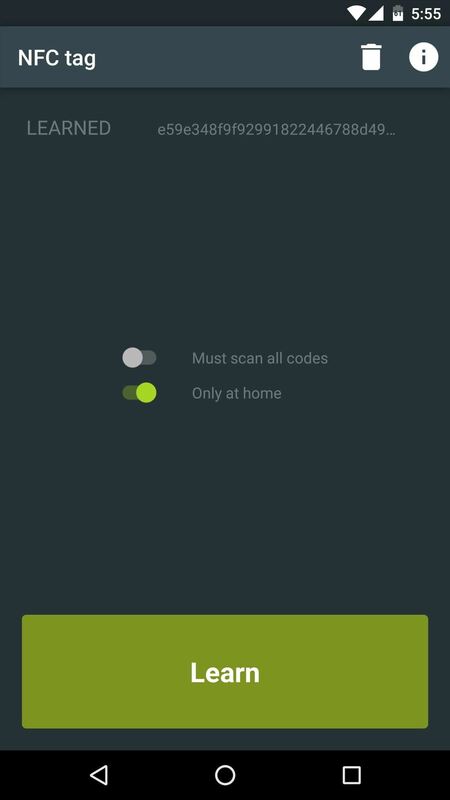 Once you've finished setting up your Trigger task, you'll be prompted to scan an NFC tag. 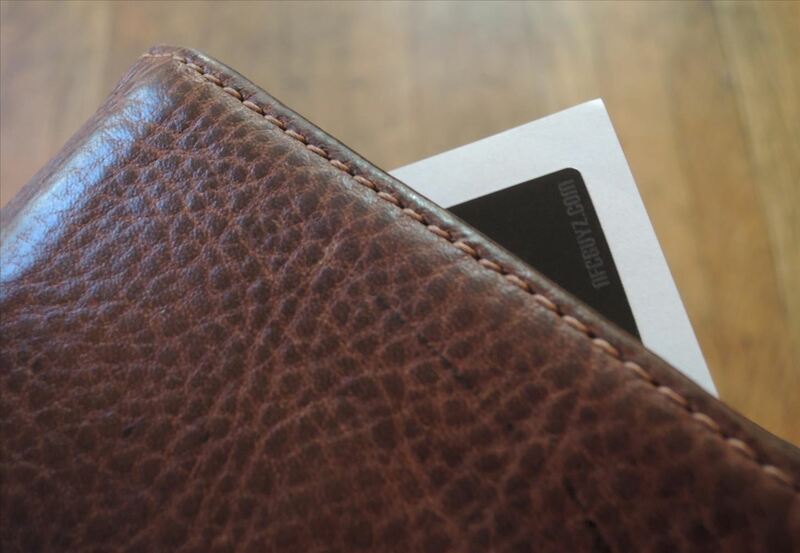 Grab one of the tags you bought online and hold it up next to the phone to scan it, then pop the tag into your wallet. Then you can easily check your balance by simply tapping the back of your phone against your wallet (with the NFC tag inside). When Trigger senses the NFC tag it will instantly text your bank and you'll get a response with your details in seconds. Similar to the previous NFC trick, this next one will require that you install the Trigger app to automate a task when your phone scans a particular NFC tag. But this one takes laziness to the next level, since it lets you tap your phone against your remote to see the upcoming TV schedule. To start, create a new task from the app's main menu, then make sure to choose NFC as the trigger, and leave all restrictions disabled when prompted. 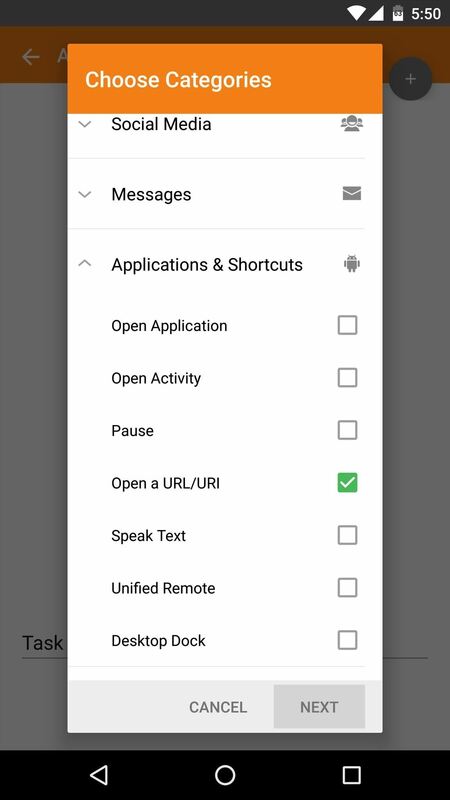 Next, add an action to youxr task, then select "Open a URL/URI" from the Applications & Shortcuts section. 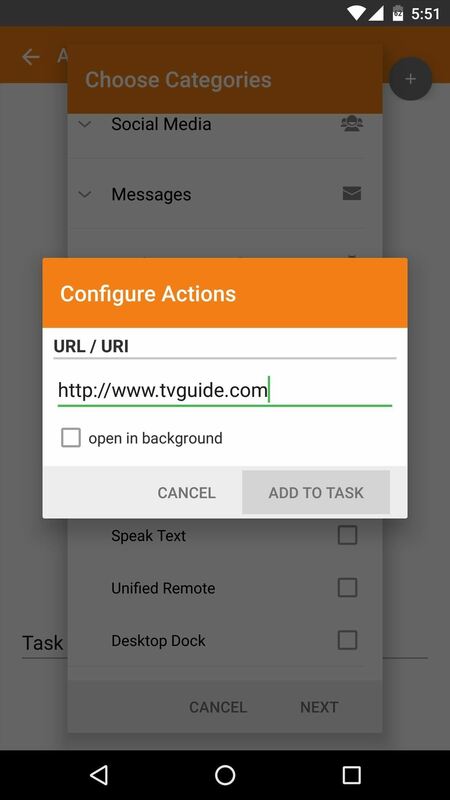 From here, enter the URL of your favorite TV listings website, then press "Add to Task." When you're done, Trigger will ask you to scan an NFC tag to launch the task. So take care of that, then insert the tag behind your TV remote's battery door. From now on, when you'd like to know what's on TV, simply tap your phone against the back of your remote, then the TV listings website you entered will automatically pop up. This trick feels more like science fiction than something that can easily be done with a $1 NFC tag. Imagine a world where you can just lay your phone down on your desk, then your PC automatically powers on and springs to life as if it knew you just sat down. 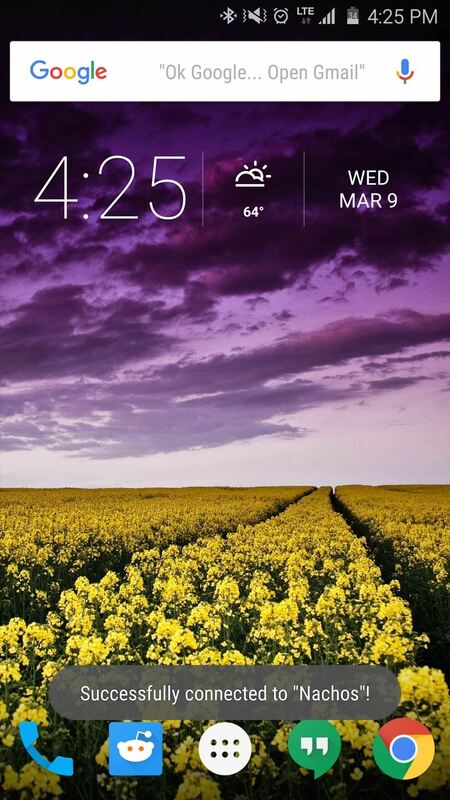 This can all be done by adjusting a few options on your Windows computer, then installing a few apps on your Android phone. There are quite a few steps in the setup process, but I've outlined them clearly and concisely in the guide linked below. Give it a read to can get this feature set up in no time. If you tend to have trouble getting out of bed in the morning, NFC can actually help with this. 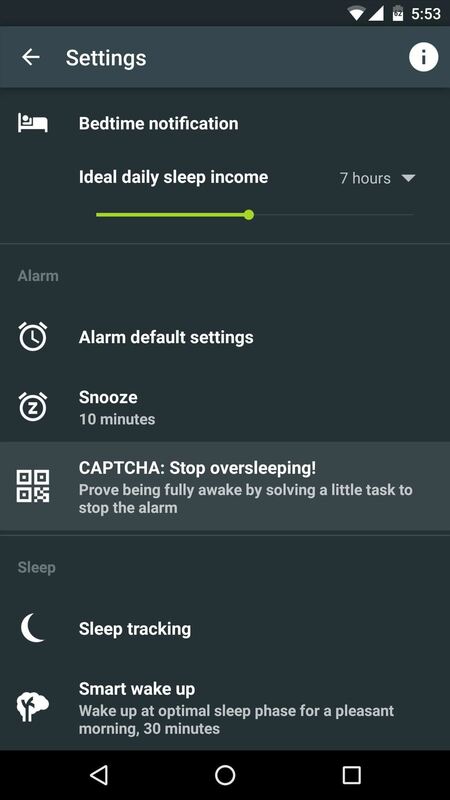 A sleep monitoring and alarm clock app called Sleep as Android has a feature that requires you to scan an NFC tag before your alarm will be dismissed, which means you can stick a tag in your bathroom to actually force yourself to get out of bed before your alarm will stop ringing. To try it out, head to the settings menu and select the CAPTCHA option, then change the Default CAPTCHA to "NFC tag." 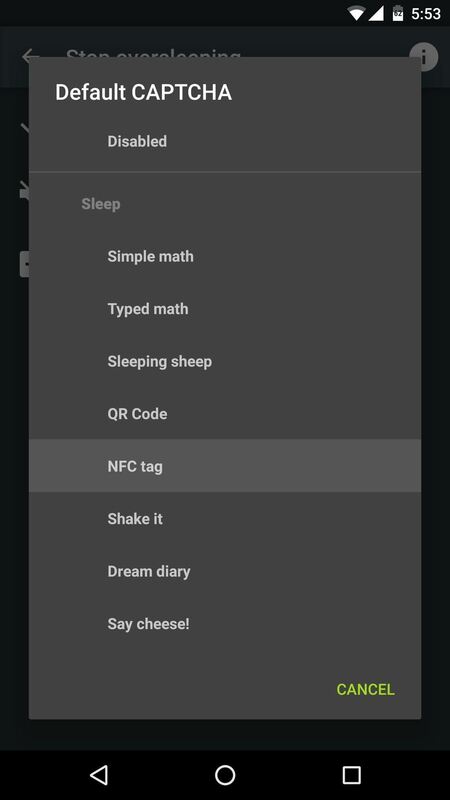 From here, follow the prompts to scan and learn your NFC tag, and from then on, you'll have to physically get out of bed and scan this tag to dismiss your alarm.